The burning question: Eat your Easter eggs now or hoard them? "Hello, egg. You're my prisoner now"
WE KNOW HOW you feel. It’s Monday, the end of the bank holiday weekend is looming, and tomorrow the real world is going to come crashing back. This week: You probably got a few eggs yesterday, right? Are they tempting you in their shiny wrappers? Have you ALREADY eaten them? Or are you holding off? Are you one of those people who don’t feel the lure of the sugar high and who leaves their Easter eggs for days, weeks or even months, waiting for the right moment? The world is divided into two types of people: those who eat their Easter eggs with gleeful abandon and those who hoard them. Which are you? Vote here: Do you eat your Easter eggs as soon as you get them? Or do you hoard them? A - I eat my eggs on Easter Sunday or else soon afterwards. I might even be eating an egg right now. B - I hoard them for a long time. I like to torture all the chocolate addicts I know. C - I didn't get any eggs and this poll is just adding to my anguish. D - Can't we all just get along? Email “The burning question: Eat your Easter eggs now or hoard them? ”. 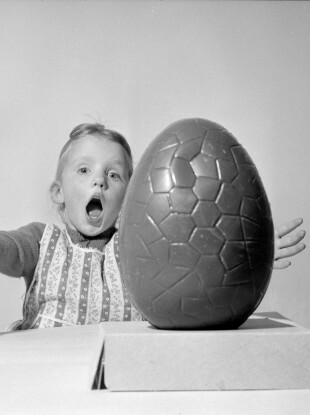 Feedback on “The burning question: Eat your Easter eggs now or hoard them? ”.